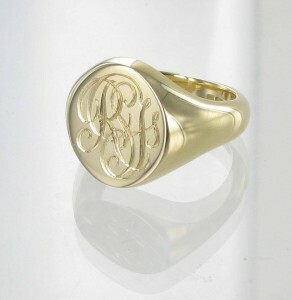 Monogram Monday – sight engraved gold oval signet ring. If you’re looking for something a little different for your initials, they can be engraved with a detailing within the letters. 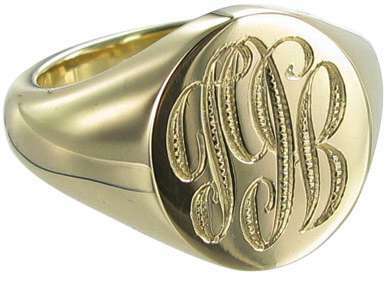 Monogram Monday! This week I am featuring a ring with more of a cypher than a monogram – the initials are entwined in a cypher style which literally means a secret way of writing. 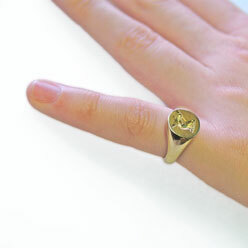 Gold cushion shaped cornelian gemstone signet ring, engraved with a Roman emblem.